After several successful years of fruitful cooperation, extrusion machinery makers Hosokawa Alpine Aktiengesellschaft (Germany) and Rajoo Engineers Limited (India) have decided to go their separate ways. In a statement it released, blown film machinery maker Hosokawa Alpine says "both sides strongly profited from new customer relations, market developments, and know how exchange in either direction." From now on, Hosokawa says it will go ahead on its own on the growing Indian and African market, by adding dedicated manpower focused on blown film extrusion to its subsidiary Hosokawa Micron India. The collaboration between Hosokawa Alpine with Rajoo Engineers was firmed up at the K2010 show. The idea was to market hybrid lines, produced at Rajoo's Indian facility using components from Hosokawa Alpine, to Africa and India. 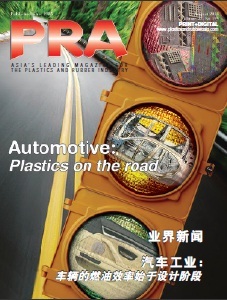 The first machine from the partnership was displayed at the Plastindia show in New Delhi in 2012. In later interviews with Rajoo, it had said that it was able to offer a "Balanced Solution" format where all the hot parts were supplied by Hosokawa Alpine, automation sourced from Europe while the rest of the components were from Rajoo, adding that through this it was able to render competitively priced machinery, compared to fully European lines. 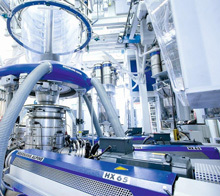 Hosokawa Alpine, a manufacturer of complete blown film extrusion equipment ranging from single extruder mono-lines to 11-layer high barrier film lines, has 700 employees at its headquarters in Augsburg as well as a new testing centre. 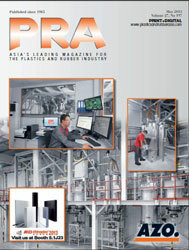 Hosokawa Alpine will be at Plastindia show, to be held from 7-12 February, in the German pavilion.